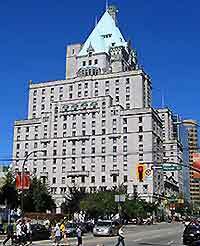 For shopping, the city of Vancouver features a good selection of malls, where big names stores are present. For smaller independent retailers and local shopping areas, head to Vancouver's Granville Island and Robson Street districts, where you will not be disappointed. 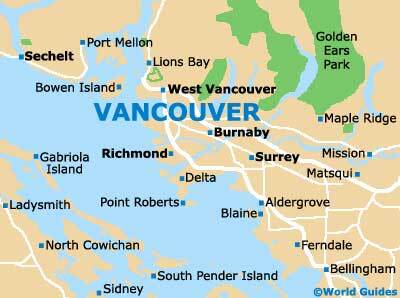 Opening hours of shops and malls in Vancouver are generally in keeping with the norms of other Canadian cities. From Monday to Saturday shops normally open from 10:00 until around 19:00 and on Sunday from noon until 18:00. Late night shopping is often available on Thursdays and Fridays, when stores remain open until 21:00 or 22:00. Situated beneath the four Bentall office skyscrapers, the Bentall Center is a good place to head for fashion and clothing stores. Among the many shops on offer here, visitors will find Knot Just Ties, Osterson's Framing and Perks. Located at the bottom of Harbor Center Tower, the Harbor Center Mall offers a variety of stores and shopping facilities, including both big names and independent retailers. A food court is also on-hand at the center. Oakridge Center is home to some 150 stores, with famous names such as Hugo Boss, Benetton, Rockport, Eddie Bauer and Banana Republic present. The shopping center also features a multi-screen cinema complex. Hailed as Vancouver's best shopping destination, Pacific Center is home to a large number of stores, among which are popular retailers such as Banana Republic, The Gap, Timberland and American Eagle Outfitters. Located just west of Lions Gate Bridge, Park Royal is accredited with being Canada's first ever covered mall. Of the 250 stores present at the facility, popular retailers include Marks and Spencer, The Gap, Eddie Bauer and Disney. 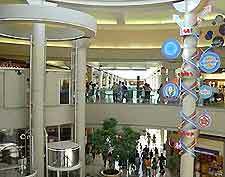 The mall is divided into two sites which are known as the North And South Malls. Previously on-site were a driving range, cinema complex and bowling center all of which were demolished to make way for 'The Village' expansion of the South Mall.